Biomega has given Co.Design an exclusive sneak peak at their two newest bikes, which will be publicly unveiled late next month, at the Eurobike and Interbike tradeshows. The showstopper: A stunning new bike by design titan Ross Lovegrove, called the LDN. “LDN” of course stands for London, Lovegrove’s hometown; the bike itself is wholly befitting a man known as “Captain Organic.” The frame was inspired by a wishbone, and links all the components and wheels with a minimum of materials. It’s made of carbon fiber sheets, and there’s a hole in the down-tube, which allows it to be hung from the wall and displayed like a showcase sculpture. 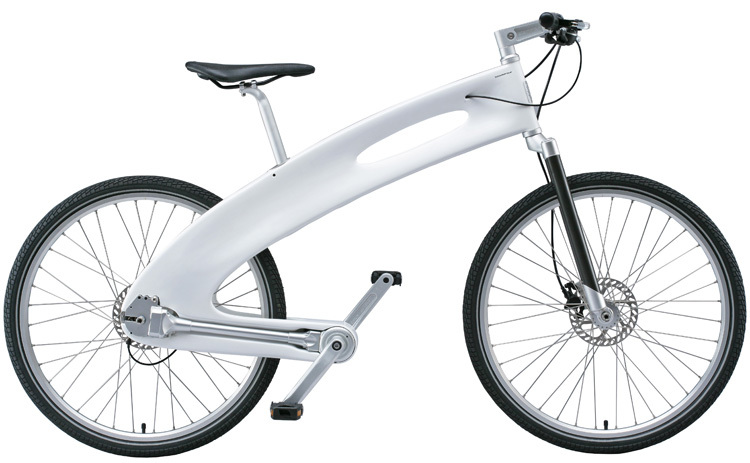 You’ll also notice that there’s no chain–rather, the bike has a shaft drive. 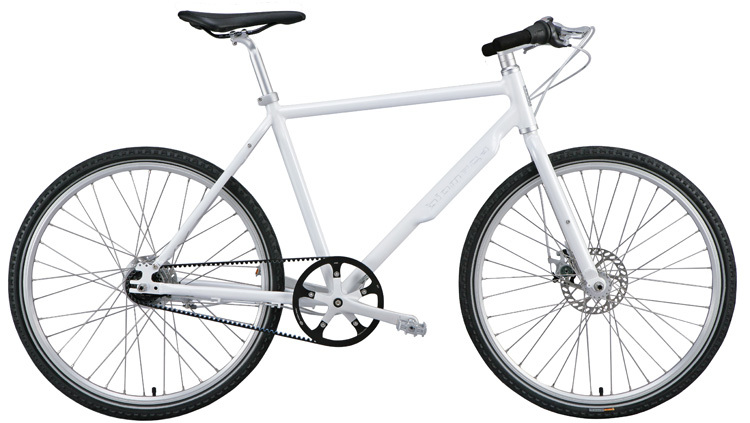 The NYC bike has a grease-less, utterly silent belt drive; that lump you see on aluminum frame’s downtube is an integrated mud guard. The NYC bike will be available next spring; the LDN bike is available by custom order. Raid the piggy bank. If that falls short, maybe rob a real bank?